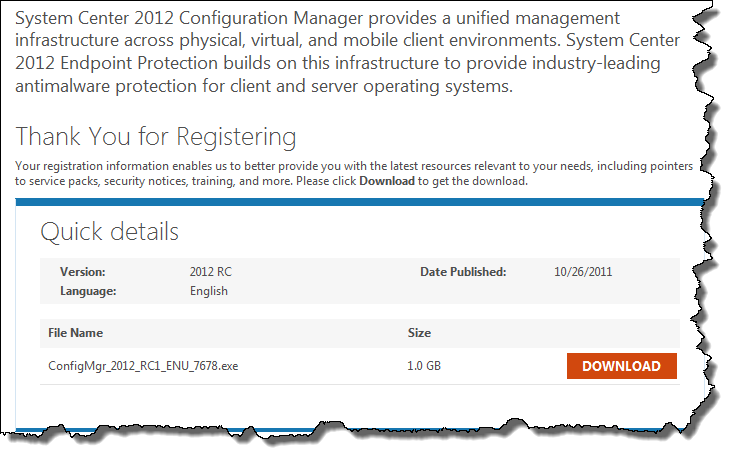 Great news, the Release Candidate for System Center Configuration Manager 2012 (SCCM) has been released. Improved endpoint protection functionality, with integrated setup, management and reporting for System Center 2012 Endpoint Protection. Improved application catalog design that provides a better, more responsive experience when requesting and downloading applications. New support for Windows Embedded devices, including Windows Embedded 7 SP1, POSReady 7, Windows 7 Think PC, and Windows Embedded Compact 7. Improved client status checks for Configuration Manager services and features. Improved compliance enforcement and tracking, with the ability to create dynamic collections of baseline compliance and the generation of hourly compliance summaries. 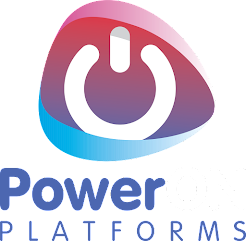 Platform support for deep mobile device management of Nokia Symbian Belle devices. Pending a platform update by Nokia later this calendar year for these devices, customers will be able to try out the management of these Nokia devices with ConfigMgr. Additional scalability and performance improvements. 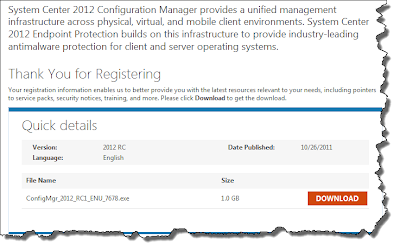 One of them points is interesting, the name change from ForeFront Endpoint Protection to System Center 2012 Endpoint Protection, showing the ever growing links between the System Center families and the fact that Endpoint Protection is now more than ever closer to the System Center stack and it's need for SCCM to manage it than a ForeFront product. It's also worth noting that the installation of ForeFront sorry SC 2012 Endpoint is now integrated into the main SCCM setup.